Make our One-Bowl Easy Chocolate Glaze with just two ingredients and 7 minutes. 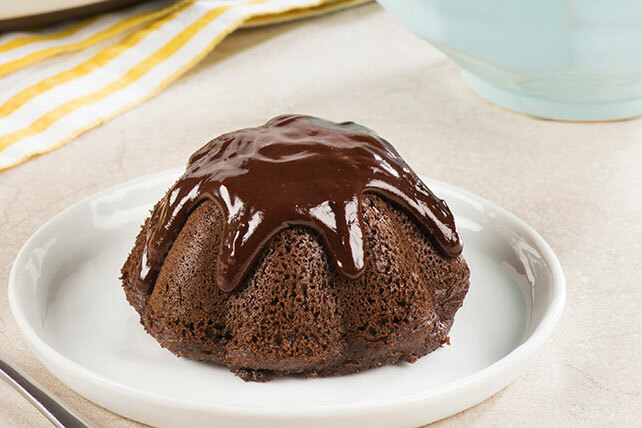 This chocolate glaze is yummy on cakes, cupcakes, ice cream and more! Microwave frozen whipped topping and chocolate in medium microwaveable bowl on HIGH 1 min. Stir. Microwave an additional 30 sec. to 1 min. or until chocolate is melted and mixture is shiny and smooth. A portion, 2 Tbsp, is all that is needed to provide big, chocolate flavor. Use as a topping for ice cream or as a glaze on cheesecake or brownies. Store leftover glaze in refrigerator. Just before serving, microwave on HIGH 1 to 2 min. or until glaze is softened.